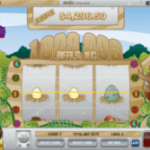 One Million Reels BC is a 3 reels slot game released in 2009 by Rival. The theme here is pre-historic and the symbols come both from the cave-man and the dinosaur periods. One of the unusual things here is that the jackpot is progressive. 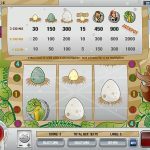 The Wild here is the Dinosaur symbol that substitute others to help you create a winning combination and comes with a 2x multiplier. It is also the Jackpot symbol and landing 3 of it will win you the progressive jackpot!! 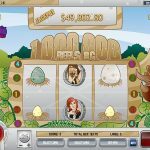 One Million Reels BC is a pretty basic slot game but one that is very well done. 3 reels games tend to be overlooked but we think that this one is really worth spending some of your time on it. If you believe that money is magic and vice versa then maybe you should consider playing Money Magic a 5 reel slot by Rival.